Do you also have a tough time making your child eat those green veggies, nutritious pulses or multigrain chapati? 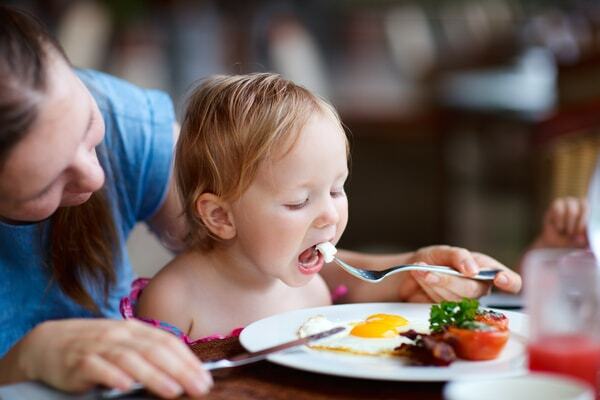 Children like eating food that pleases their palate. Therefore, most mothers face a hard time in trying to give something which is both healthy and delicious to their little ones. It is troublesome to make them understand why even one pizza cannot be eaten daily while pulses are of no harm even if eaten twice a day! So, to save the bewildered mothers from this tug of war between tasty and healthy, we list here a few recipes you can easily make for your kids and trust us when we say – your tiny tots are going to love this incredible combo of taste and nutrition. What better way to celebrate the National Nutrition Week in India? Pizza: The first one on the list had to be pizza. You can give this all-time favourite junk food a salubrious makeover. Instead of using the regular pizza base, try making a base made of wheat flour or oats. And use healthy veggies such as mushroom, lettuce, onion, and tomato for toppings. Cheese is of course healthy, but avoid using ketchup. Oats Idli: Give the traditional south Indian idli a nutritious twist. Prepare mouth-watering idlis by using oats along with a few veggies such as boiled peas, carrots and tomatoes. Oats being rich in fibre makes this recipe a healthier alternative for the mothers. Sesame seeds laddoo: It is again a traditional sweet prepared in Indian households during festivals. Sesame seeds have various health benefits and its regular consumption can protect us from a lot of fatal diseases such as cancer, diabetes and anaemia. Every kid has a sweet tooth; therefore it becomes easy for mothers to give this tasty snack whenever their kids are hungry. Egg parantha or Egg fried rice: Eggs are high in protein, so including them in your diet will make the latter nutritious. Cheating on the simple omelette which they are bored of eating, try egg parantha or egg fried rice (which would contain veggies too) to make the meal more appetising. Sweet corn salad or chat: A healthy, tasty and quick recipe, children will love to have every now and then. It is low on fat and sweet corn especially is effective for enabling strong vision. Prepare a little spicy and non-cheesy sweet corn salad for your kids that they can enjoy as evening snacks. Burger/Sandwiches: Burgers can be healthy too. Yes, make a patty using vegetables, pulses (rajma or chana dal) and cereals (like poha, oats, sabudana). While along with it you can add onions, tomatoes and lettuce. Instead of mayonnaise, use homemade hung-curd. And this way, you can offer your kids their favourite snack excluding all its unhealthy elements. Replace maida bread with whole wheat or multigrain bread/bun for burger & sandwiches. Also, instead of deep frying try baking, air frying or grilling. Use home-made green chutney instead of ketchup. Surveys conducted reveal that many children do not get a complete nutritious diet, despite eating a lot. It is crucial to understand that eating and eating healthy are two different things. Therefore, instead of forcing your kids to eat healthy food they don’t like, make the food they like healthy. Special Note – Try using only organic, virgin coconut oil for extracting complete benefits of this superfood.